It’s that time of year when you want to make something to let your family and friends know how much you appreciate them. So this week and next I’m going to be posting some recipes that I will be giving to our friends and family over the holidays. 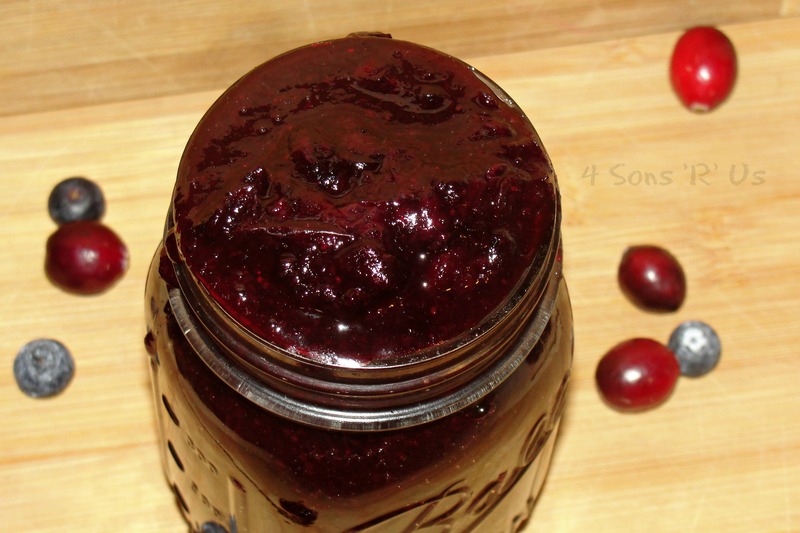 The first of which is this relish/sauce/jam/pot of liquid gold: AKA, Cabernet Cranberry and Blueberry Sauce. Also, be on the look out for some crafts and festive fun food ideas for the kids too. This is completely different from a traditional ‘relish’, which is usually thick and tart. It’s more like a savory jam. Slather this on a warm yeasty roll, or a piece of toast and your in business. Are your kids asking for pancakes and waffles for breakfast? Here’s your generic syrup alternative. Add a little elegance to your morning. That might even make me a morning person. On second thought, probably not, but it sure is something I’ll look forward to in the morning. 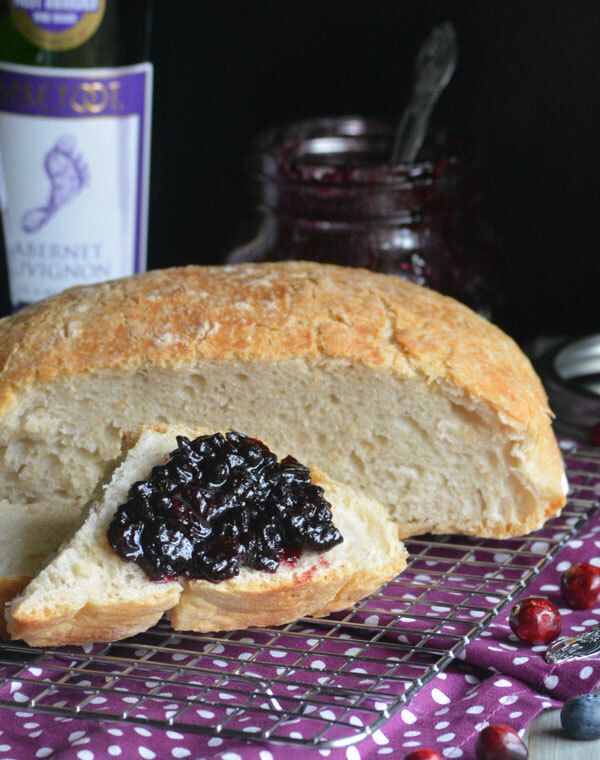 Are you planning to have cranberry sauce with your holiday meal? Kick the can! 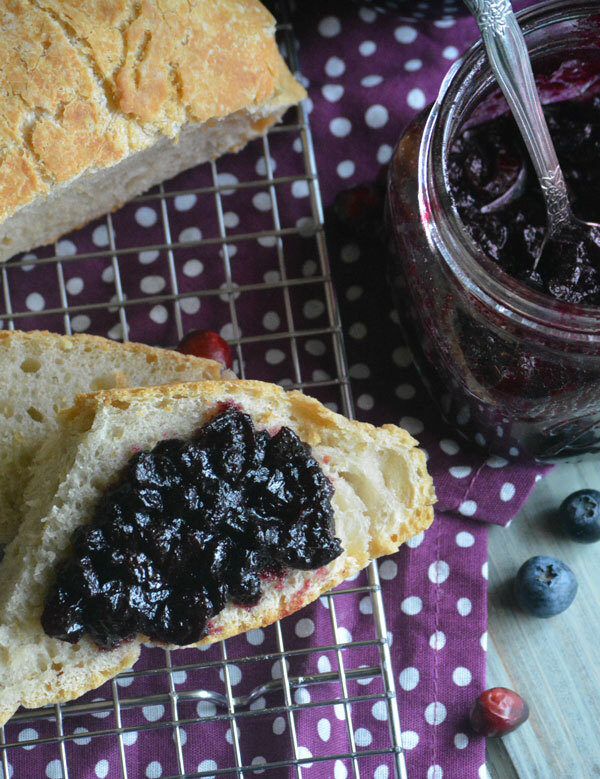 This is like drinking wine and eating jam all in one, with texture, sweetness, tartness, and juicy berries in full force. And the options don’t even end there. This makes a perfect marinade for pork chops or pork tenderloin. I bet it would even taste fantastic over vanilla ice cream! You’re going to have trouble a.) keeping your spoon out of the jar, and b.) stopping coming up with things to pair this with. 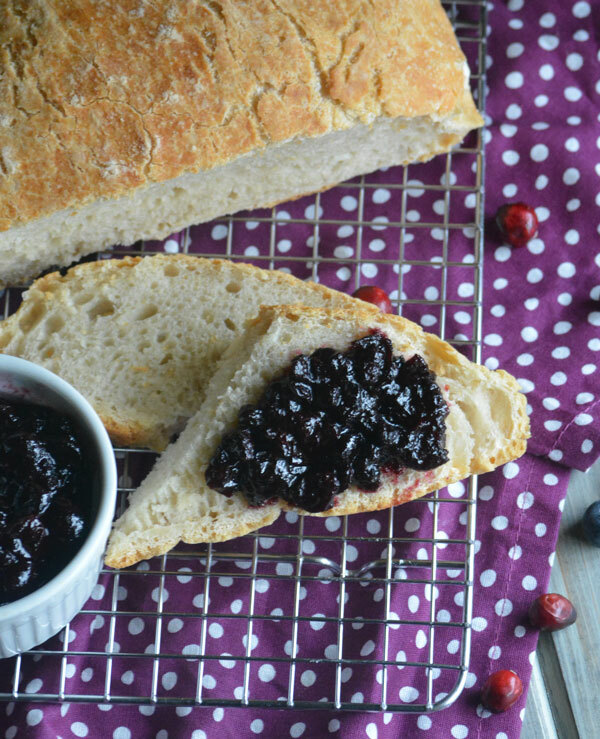 Move over boring cranberry sauce! Goodbye creepy canned jelly. 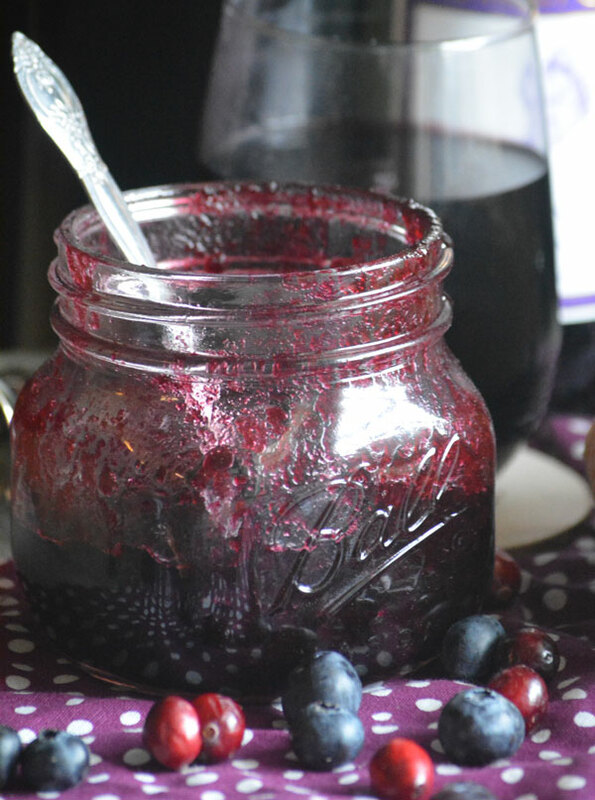 Cranberries are so much better with blueberries & wine. 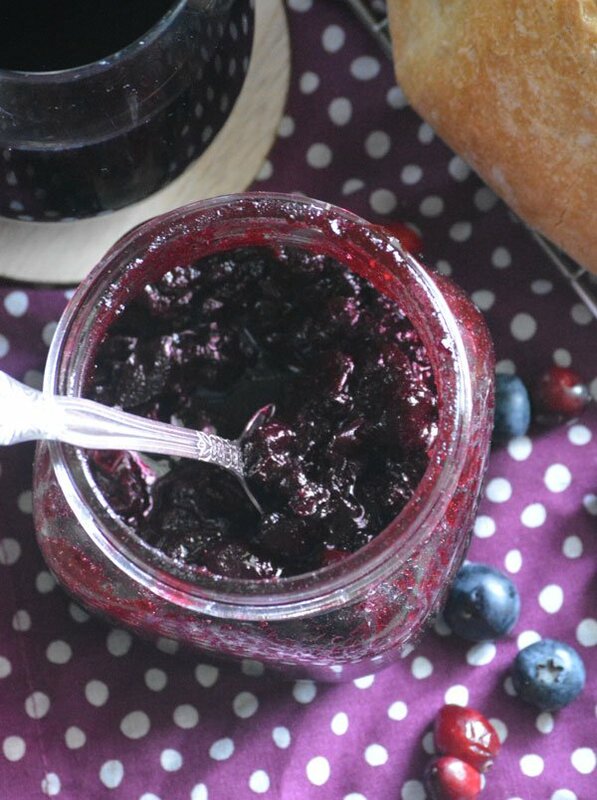 Make your own Cabernet Cranberry and Blueberry Sauce today, in under 30 minutes! 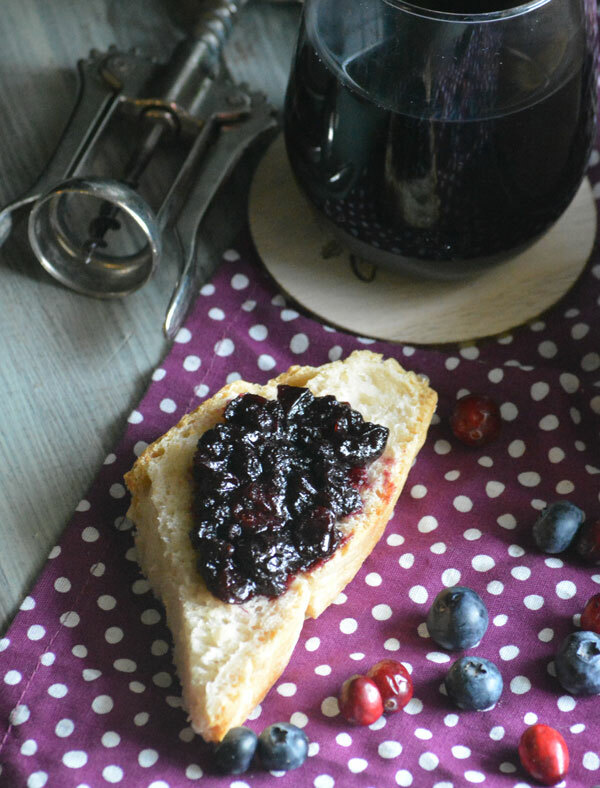 An easy homemade cranberry sauce made with sweet blueberries and a hint of wine- it's destined for holiday dinners and brunch tables everywhere. Combine all ingredients in a medium to large pot, and stirring occasionally, bring the mixture to a full boil. 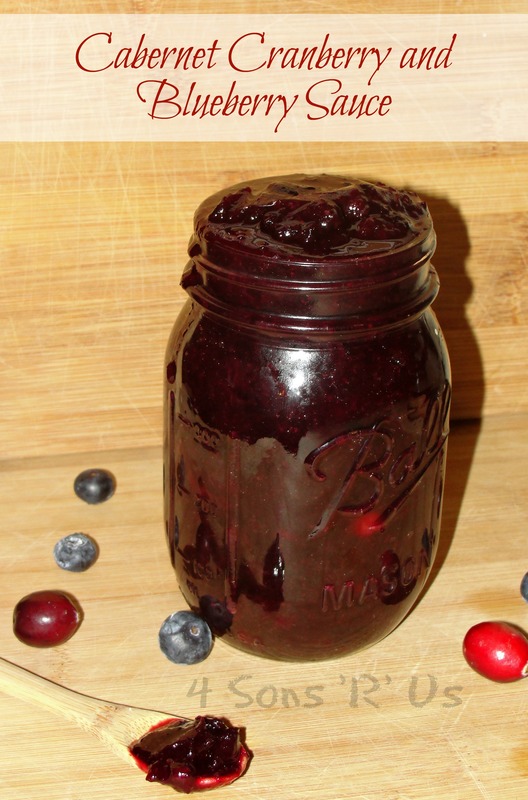 Be sure your pot has room for the liquid to triple in volume so that it won't overflow as all the juices from the berries are released. Reduce the heat to low and let the sauce gently simmer for about 20 to 30 minutes, or until reduced and thickened slightly, and most of the cranberries have burst. Remove from heat and allow to cool slightly before transferring the sauce to a heat safe container. Allow sauce to cool down to room temperature before refrigerating. Sauce will keep in the refrigerator for at least 2 weeks. Sounds really wonderful, love the combination! This sounds delicious, and I can’t wait to see your other gift ideas. 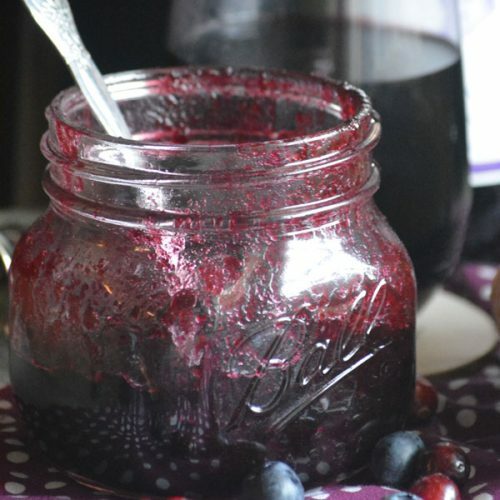 Now this is my kind of cranberry sauce, love the addition of the wine and blueberries for extra flavour, pinned! 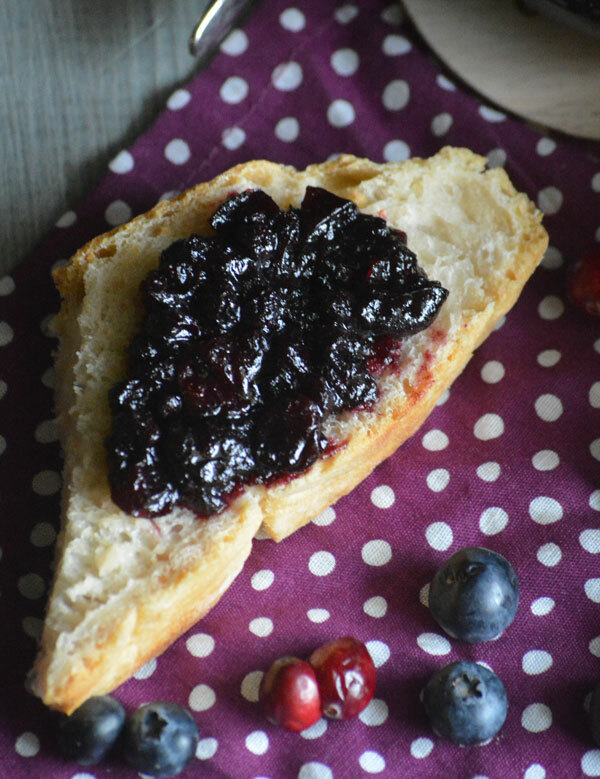 It looks very yummy… and the addition of blueberries and wine sounds perfect as extra taste! Thanks for being at FF! What a wonderful Sauce, I can’t wait to try this recipe. Thanks so much for sharing with Full Plate Thursday and hope you have a great week. Can this be canned/ heat processed? Yep! 1 1/2 tbsp of pectin added to the recipe and 10 minutes in a hot water bath should do the trick.